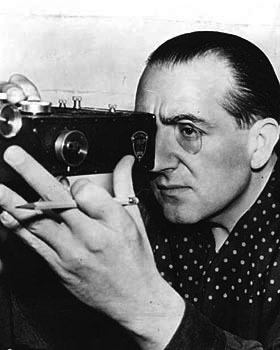 Fritz Lang was born in 1890 in Austria Hungary before joining the Austrian army during World War I. He was severely injured and suffered from shll-shock whih ave him time to begin writing films while recovering. After the war, he moved to Germany, then the Weimar Republic, to work with UFA Studios to start a career in film. 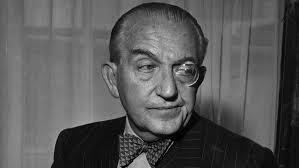 He wrote and directed several powerful and influential films in Germany includingMetropolis and M and Testament of Dr. Mabuse. He quickly rose as a prominent figure in the Expressionist movement and earned himself the nickname, “The Master of Darkness”. With the rise of the Nazis in 1933-1934, Lang fled Germany for Paris and then to the United States where he began a twenty year career in Hollywood that produced a number of notable “film noir” movies.Though his later career was generally forgotten by critics, on his death in 1976 in Los Angeles, he began to be regarded as one of the great early directors of cinema.